His wife seems distant, yet perfectly happy. They work on different schedules and pass like ships in the night. But that’s how marriage is after so many years, right? She’s not extraordinary, but somehow she’s so much more than just another girl. 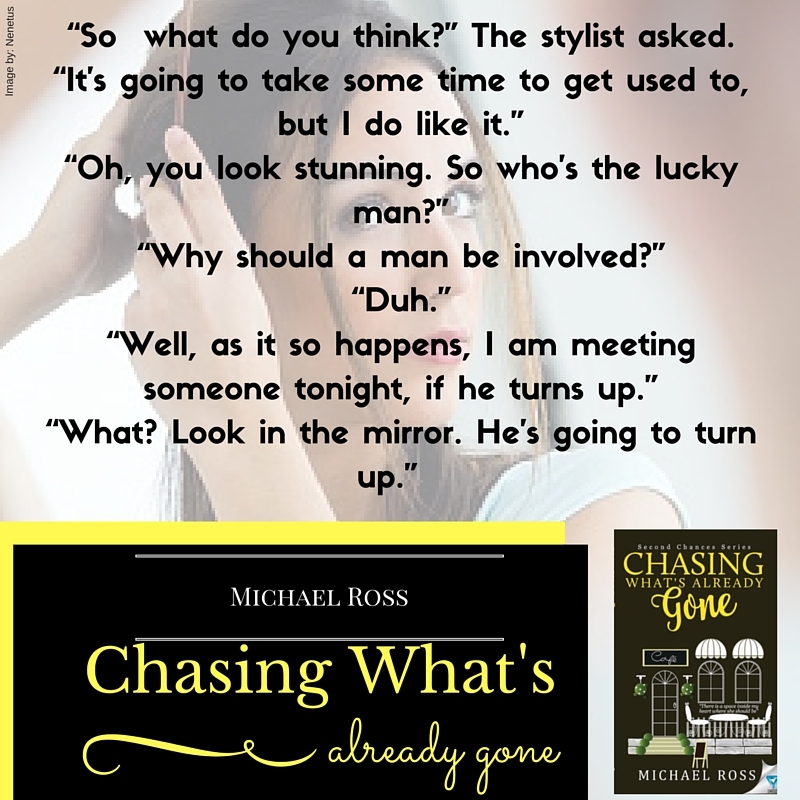 When he catches her gaze, he knows deep in his gut that she’s the one—the love of his life. But being a decent guy, he holds his feelings in check, and there is no ulterior motive when he shares a coffee with her. As she leaves, she gives him a business card. That's all there is to it. Her name is Ella. And after that, she is nothing more than a fond memory. 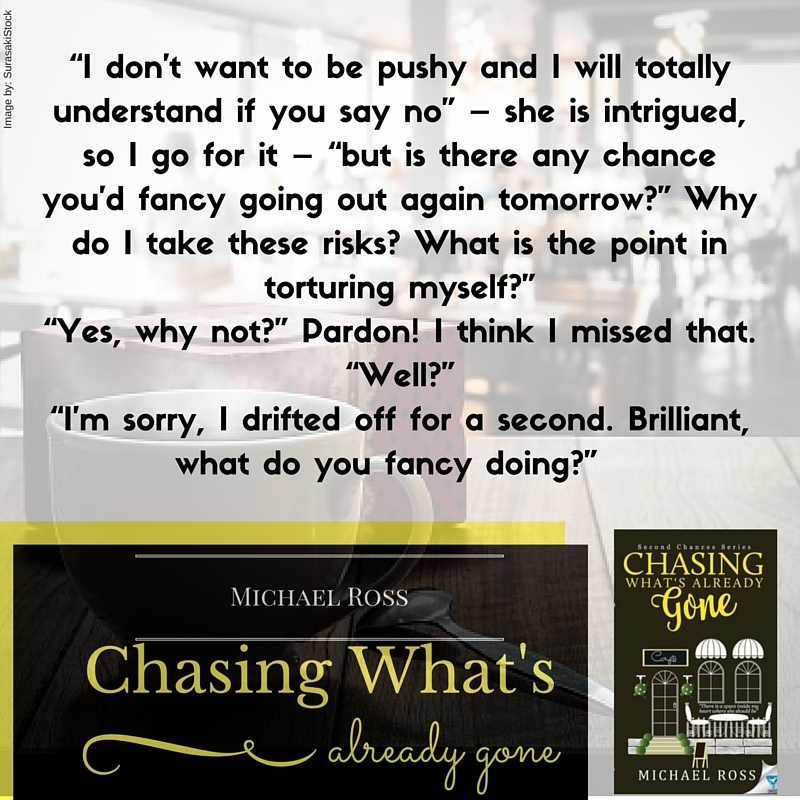 Danny puts Ella out of his mind and moves on with his life—until his world falls apart…When his wife confesses to having an affair and demands a divorce, his life is thrown into chaos. It’s a challenge adjusting to the single life, but it’s not impossible. As time passes, he continues to reminisce of his brief encounter with the woman he’s sure was his chance at true happiness. 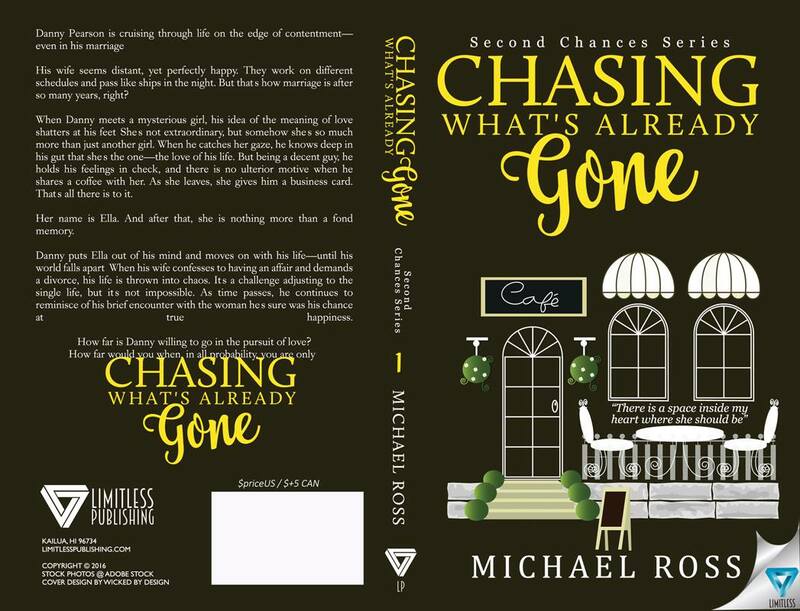 Chasing What's Already Gone will be available on Amazon on July 26th! It was a strange and twisting road that led to the publishing of my second novel. Born and raised in Bristol, England. I spent my adult life in business, the majority of that time marketing cars. I eventually owned the largest Saab specialist in the world, before a divorce put an end to that part of my life. This led me to leave Bristol to live halfway up a mountain in the Welsh valleys, start a part time six year English Literature course at Bristol University, and attend creative writing classes in Cardiff. Chasing What’s Already Gone evolved from a short story Carpe Diem in my second anthology Twenty One Short Stories. I could not get the two main characters out of my head and I had to find out what happened to them after the end of the short story. I now live very happily halfway up that mountain in the Welsh Valleys with my wonderful partner, Mari, and our rescue dog, Wolfie. 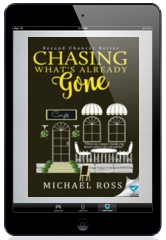 FANCY A FREE EBOOK OF 'CHASING WHAT’S ALREADY GONE' & A $5 AMAZON GIFT CARD? All you have to do is like the below Facebook pages & a winner will be picked on July 29th.